It all started ten years ago today. 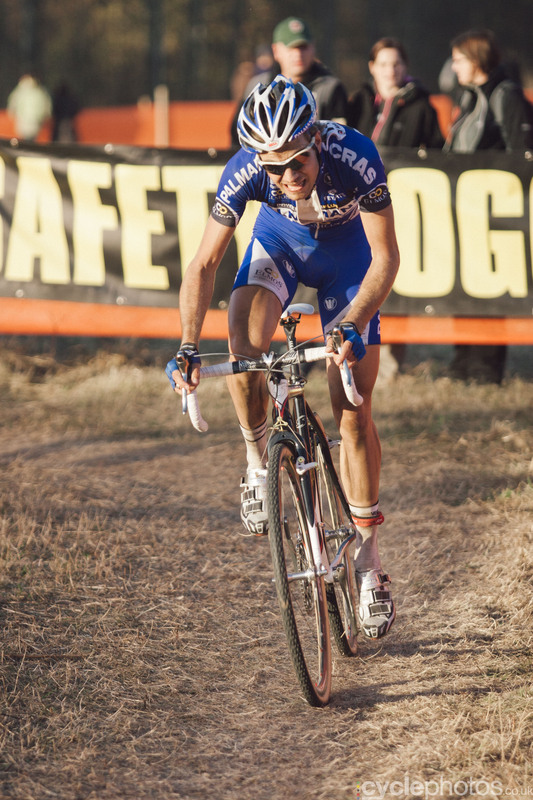 By ‘it’ I mean Cyclephotos and my obsession with cyclocross. 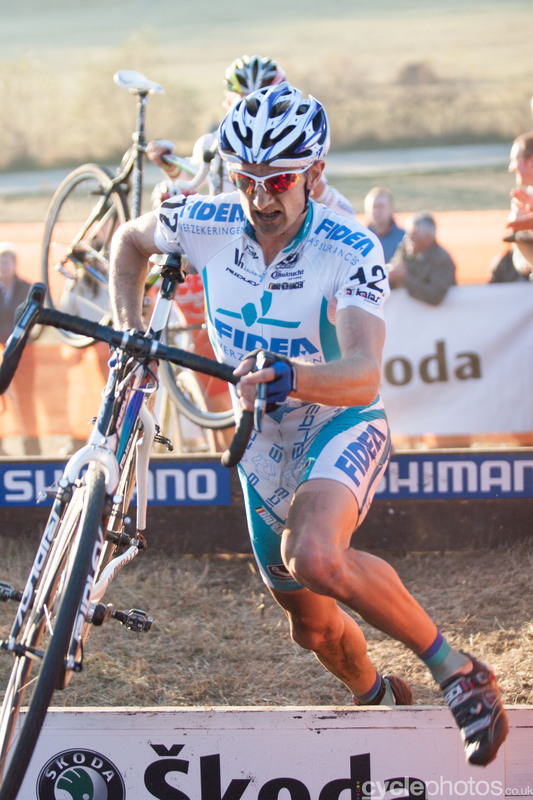 On this day in 2008, I arrived in Tabor to witness my first-ever cyclocross race. And it changed my life. I was 30 at the time, I was still living in Hungary, I worked in advertising and rode my mountain bike every now and again. Traditionally, Hungary is not what you would call a cycling nation. Our only claim to cycling fame is Laszlo Bodrogi, an excellent time trialist. But that’s about it. As a mountain biker, you don’t really care about the road scene or anything that is connected to road cycling. 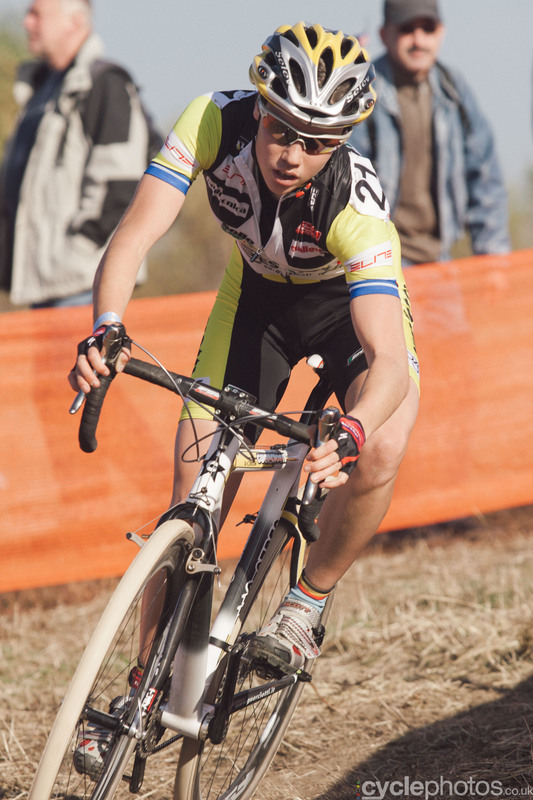 That must have been the reason that I hadn’t known much about cyclocross. I had known that it takes place during the winter and that it is fairly big in the Benelux countries, but that was about it. The only cycling magazine in Hungary would publish the dates and venues of the world cups and I would always conclude that the races were too far away for me to even contemplate going to see myself. 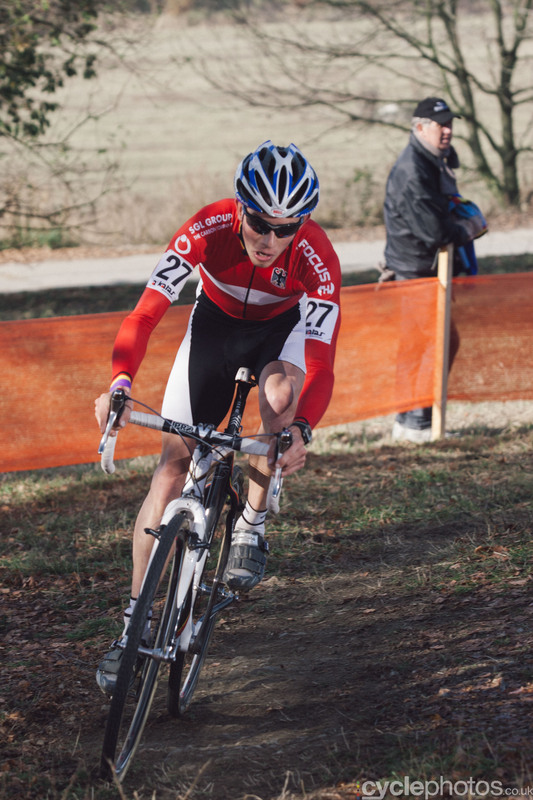 Then in January, there would be a disappointing photo of a lone man circling around on a slightly snowy football field, with a caption explaining that said sad chap won the cyclocross nationals. All in all, it didn’t seem like something I should pay much attention to. But eventually curiosity got the better of me and when I saw the calendar for the 2008/2009 season, I saw that the second round of the world cup season would be held in Tabor, in the Czech Republic. Tabor is just a seven hour drive from Budapest so it felt like this was the closest I was going to be to a cyclocross race. On a cold, dank Saturday morning, I jumped in the car with my then-girlfriend, and we drove to Tabor. Little did I know what impact this trip would have on me. At the time, I was still a mountain biker and I wanted to shoot mountain biking for a living. That was the dream. I didn’t really see how I would ever transition into becoming a professional cycling photographer, but I loved doing it and I did know that I needed to get better. I was going to national cup races and the odd world cup and shooting everything and anything. No assignments, just entertaining myself and friends who were participating in the races. As we arrived in Tabor on Saturday afternoon, I picked up my accreditation – they were pretty relaxed about it, I just said I was a photographer and I got a bib. Those were the days, eh? Then I headed out to the course and I was a bit disappointed. It looked like a really tame and boring mountain bike course. No crazy drops, not much natural beauty, just lots of grass surrounded by sad, brutalist Eastern European blocks of flats. Meh. Then to the morning of the race. Sunday. It was a quite grim day, foggy and very cold. I started to question the wisdom of my decision to travel this far for an inferior mountain bike race, but, I thought, if I was there, I might as well make the most of it. And then, within ten minutes into the juniors’ race, I had my revelation. I was totally captivated by the crazy pace, the tenacity of the riders, the energy of the whole thing just blew me away. The first race ended before I could say ‘marginal gains’ and I was hungry for more. As world cup days do, it was gradually building up to the elite races. More and more people were turning up to watch the racing. 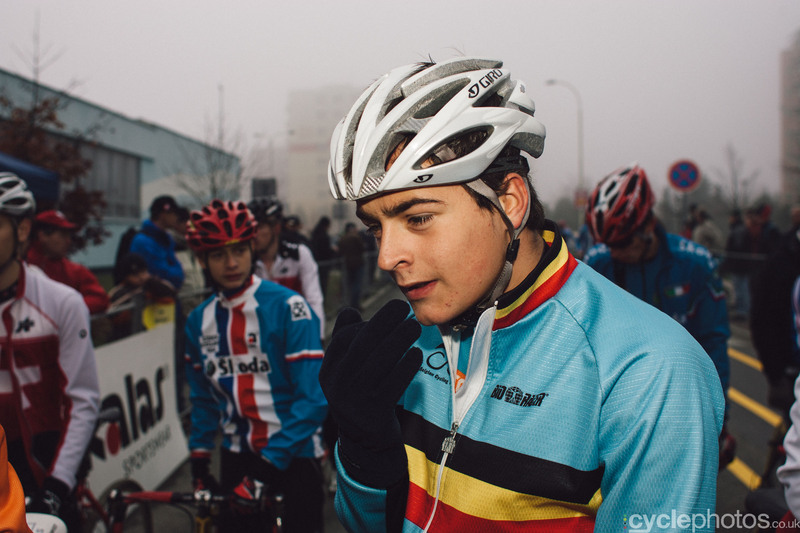 It also probably helped that the sun came out by the time the U23 race got going. 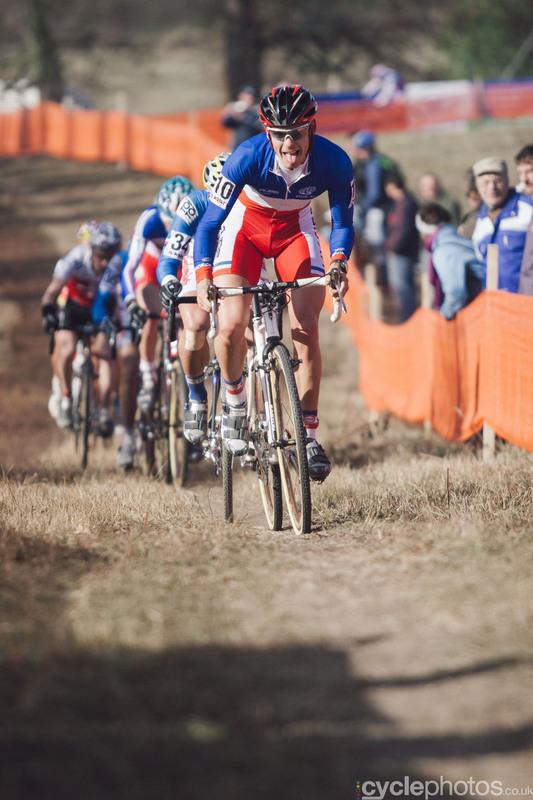 I loved the intensity of the racing and I loved how much of it I was able to see from any given point of the course. This was different to mountain bike races where I was able to cover a lot less ground, as the courses tended to spread out a lot more. The rest of the day was a blur, I had no idea who was who. 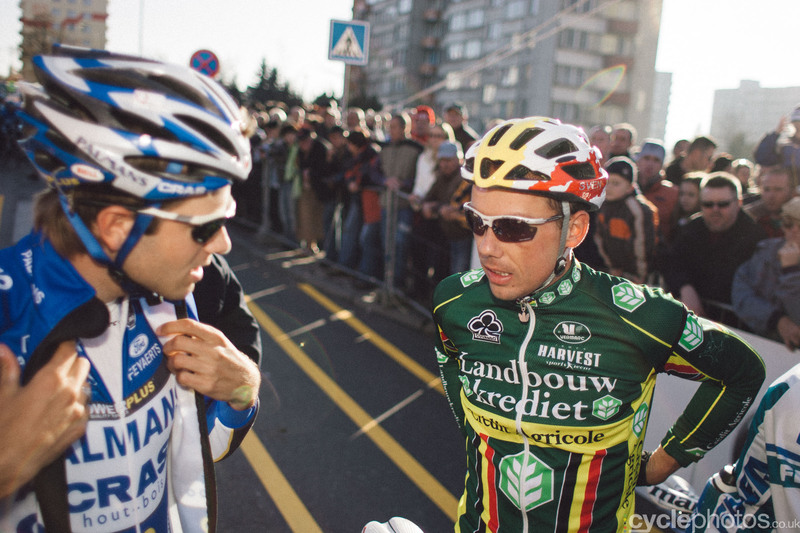 I remember, I later erroneously tagged Lars Boom as Sven Nys. I guess I paired the wrong number from the start list with the wrong person and for a while, I thought Boom was Nys. 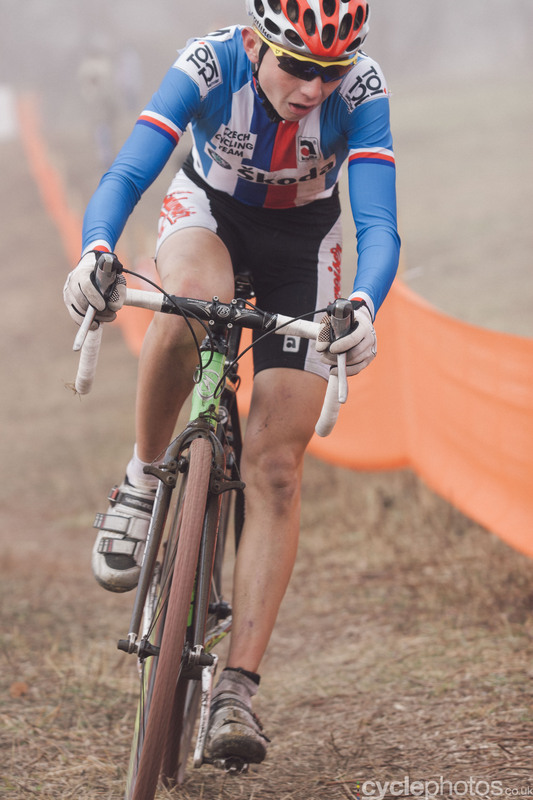 I think I had heard of Nys but I had no idea what he actually looked like, you know, cyclocross being this obscure thing and all. After the last race, I traipsed back to the press room, gave back my vest and wondered why all these photographers were still there, editing their photos. Little did I know that when you make a living by shooting races, post-race hours are sacred and one must be hunched over one’s computer to select, edit and tag photos furiously. Little did I know then. A few months prior to this trip, I had a rather upsetting car accident in Sweden, so I was still rather afraid of driving so my poor girlfriend had had to do all the driving. I was sitting in the passenger seat and I was thinking hard: how could I do this again? I wanted more of it. I had no idea how I was going to make it happen, but I wanted to figure it out. I wanted more. In the next couple of weeks, I will share memorable stories from the last ten years, this is the first instalment. But first, here are few photos from that memorable weekend and I will be tweeting some photos, in sync with their original capture time. This is Aurelien Duval. He has an impressive grimace, but he was busted for the use of PEDs in subsequent years. 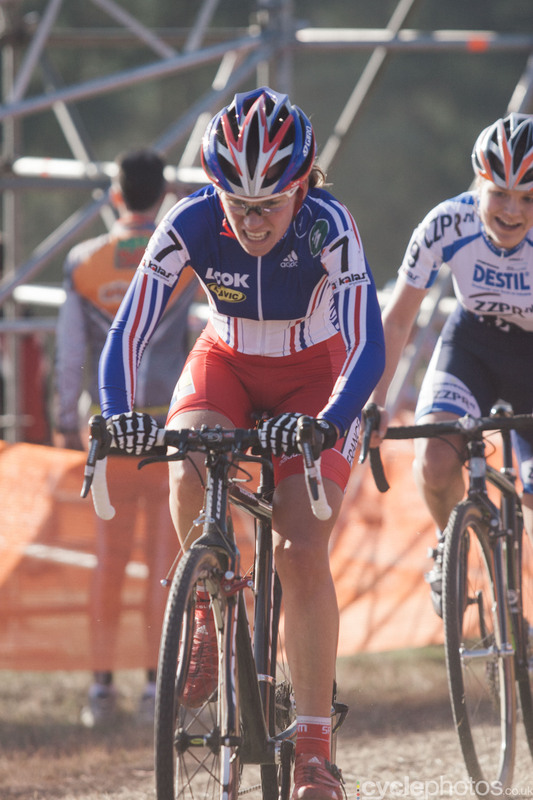 Loved reading your story about photographing your first cycle cross race! Quite the amazing sport. Thanks for your dedication.